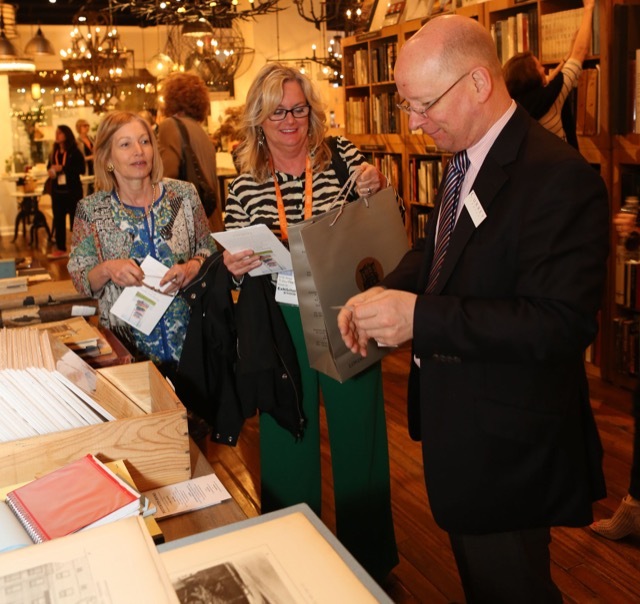 Clare (left) and Simon (right) of Potterton work their magic selling books in Currey & Company’s High Point showroom in April. The next several months will be busy ones for us at Currey & Company as we zigzag the country catching up with all of our kindred spirits in design. In looking over the list of notable personalities being fêted, including our own Robert Currey; the new products being unveiled; and the return of the Potterton Pop-Up shop to the High Point showroom, the word decadence sprang to my mind as an overarching theme for this post. The Potterton Sloane Square location I visited last year. The titles Clare Jameson brings to the Currey & Company High Point showroom is phenomenal—there truly is no other word to describe them. Last market I bought a beautiful boxed book titled Views and Plans of the Petit Trianon at Versailles, and I treasure it. 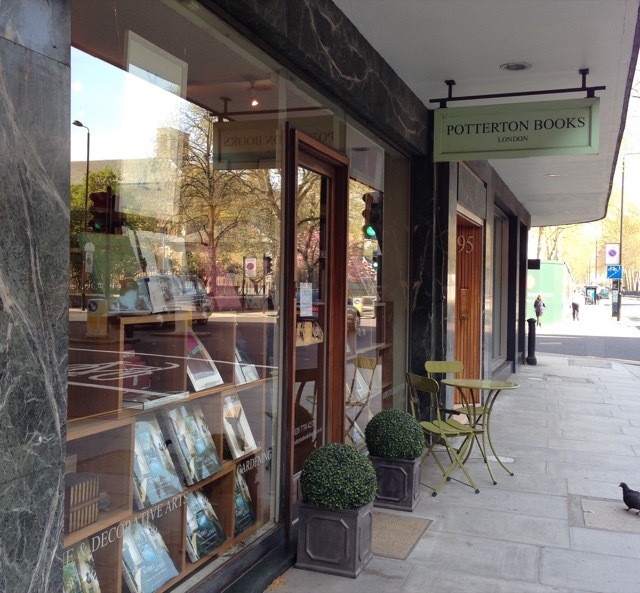 Another book I value greatly is one I found when I visited Potterton’s Sloane Square store in London last year while covering the The Decorative Antiques & Textiles Fair. I actually had the toughest time holding myself to the task of purchasing only one book, but my suitcases were already bulging after a stop in Milan to cover Salone del Mobile so there was simply no way I could squeeze the stack I had identified in my head as “must haves” into my bags. Let’s just say a cruel discipline had to be summoned as I perused the shelves! 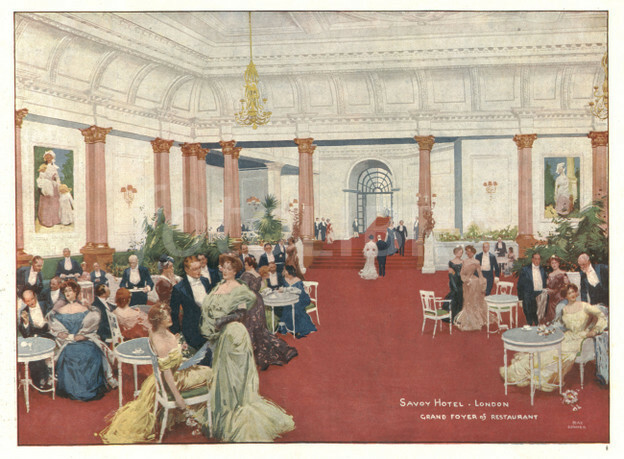 A postcard depicting the grand foyer of the restaurant at the Savoy Hotel London in 1906. I’m glad I winnowed the list down to the one I decided to bring home because Decadent London by Antony Clayton holds a fascinating survey of the city during the turn of the century, offering a veritable history lesson as to what destinations were “all the rage” with the stylish set during the cacophonous decade of 1890. The author surveys the gentleman’s clubs at the time, which were in their heyday, along with the luminaries on the scene who frequented them, bandying about names as auspicious as Sir Richard Burton, Bram Stoker, W.E. Yeats, Henry James, Oscar Wilde and H.G. Wells. During this era, along came the advent of the luxury hotel and a name that would soon become synonymous with decadence. It was in 1890 when César Ritz blasted into the public eye in England, taking over the Savoy as general manager. Much like today, the Savoy was the fashionable place to dine but there was one major difference: it was a new-fangled concept then to have separate tables for each party, a concept introduced by Ritz and Auguste Escoffier, the world renowned chef he brought on board. 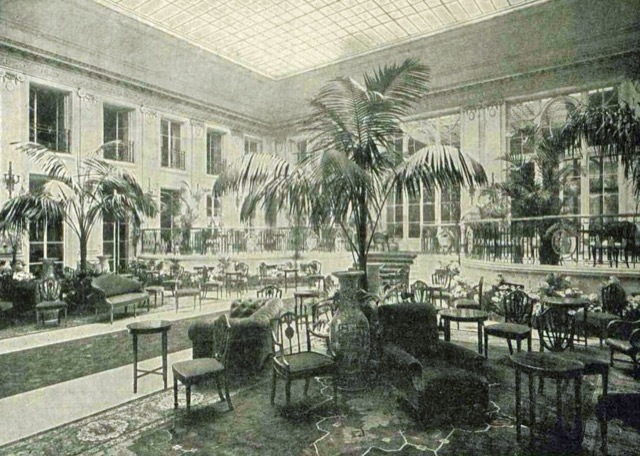 The pair moved to the Carlton Hotel in 1897 and society followed, the Palm Court becoming the most elegant rendezvous in town. By 1898, they opened the first of their own establishments, the Hôtel Ritz in Paris, and, in 1906, The Ritz London. 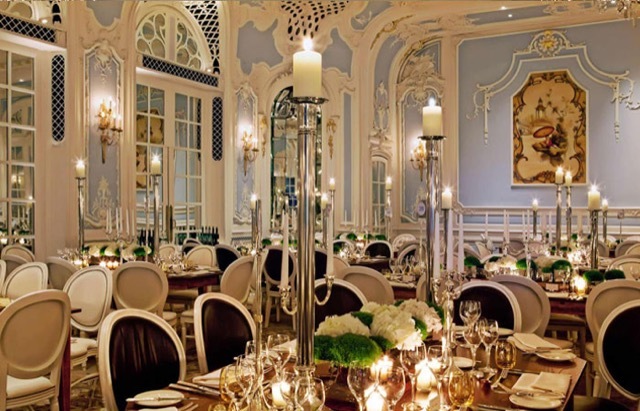 The luxurious interiors at the Savoy in London in present day. The Carlton was bombed during the war and eventually torn down but the Savoy and the Ritz in Paris still shine like everlasting gems of luxurious design in two of the greatest cities in the world. And in case you think these properties have a lack of sensual appeal to the young and young at heart today, take a look at the above film, Behind the Door by Zoe Cassavetes, produced by the Ritz Paris earlier this year to celebrate the reopening of the newly designed property. 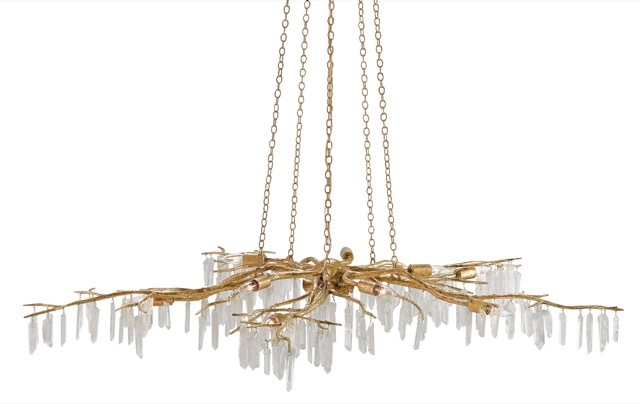 The Forest Light Chandelier designed by Aviva Stanoff for Currey & Company. When I take in the beauty of Aviva Stanoff’s Forest Light chandelier and wall sconce, I see how they would feel right at home in the contemporary incarnations of the luxurious experiences these fin de siècle influencers enjoyed because they have never stopped evolving. That’s the essence of relevance in design, isn’t it? 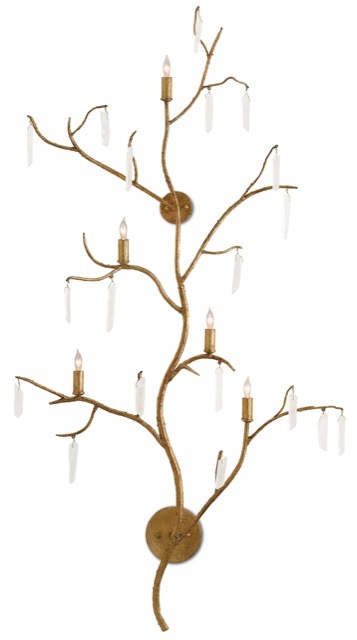 Forest Light Wall Sconce by Aviva Stanoff for Currey & Company. Both of these light fixtures will be on view in the Currey & Company New York showroom during Thursday’s What’s New What’s Next at the New York Design Center (details below). Aviva will also be on hand from 4 to 7 p.m., bringing some of her textiles, which will be on display along with her chandelier and wall sconce, with her so you can feel the decadence she achieves with her products. We’ll also host her during High Point Market for an event in the Currey & Company showroom—stay tuned for news of this and other High Point happenings in the next blog post I’ll be putting up in a few weeks. Robert Currey, with Rives, will be launded during the American Home Furnishings Hall of Fame on October 23. 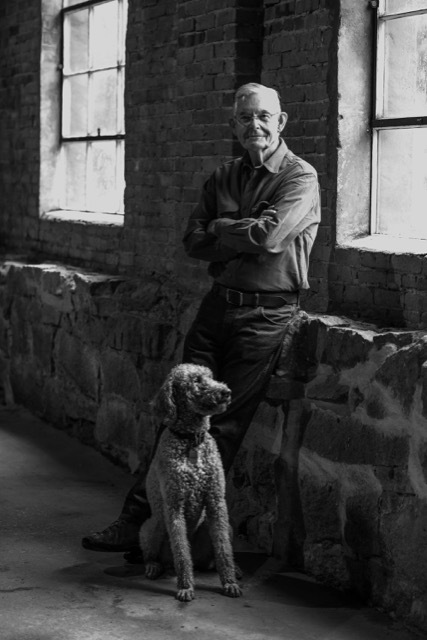 And speaking of news: our own Robert Currey is being inducted into the American Home Furnishings Hall of Fame on October 23rd during the Foundation’s event in High Point. He will be joined by a distinguished list of inductees that include John Bray, the chairman and CEO of Vanguard Furniture; Art DeFehr, the chairman of Palliser Furniture Upholstery Ltd.; Richard Frinier, the award-winning designer, and principal and creative director of the Richard Frinier Design Studio; and Robert Ching Wo, the chairman of C.S. Wo & Sons. This win for our founder is decadence personified! Given that inductees are chosen based upon their contributions to the growth and development of the home furnishings industry in America, we’re quite proud of this moment for our founder. You can bet he will have Rives in tow in our showroom during market, the pair growing more photogenic as the years go by, don’t you think? James Swan, the host of a series of podcasts on Million Dollar Decorating. While Robert is “in the news,” we’ll be making news with James Swan, who will hold court in our High Point showroom during market every day from 1 p.m. to 3 p.m. 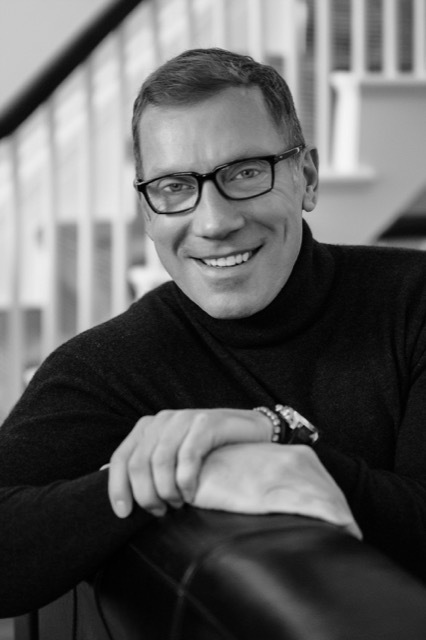 If you haven’t heard his podcasts on his site Million Dollar Decorating, you’ve been missing out on the opportunity to hear the design-savvy professional interview his peers about art, decorating and beautiful living. A few of our favorites are his sessions with Robert Courtier and Alexa Hampton. Talk about decadence! The new Beauty Book includes this image with the Grand Lotus Chandelier floating above the Perseus Console and Margate Mirror, the stunning wallpaper is by Fromental. We look forward to seeing you in all those familiar places we meet to celebrate great design as autumn sweeps us along! What’s New What’s Next begins on Thursday, September 22, 2016, at 2 p.m. in the New York Design Center at 200 Lexington Avenue in Manhattan. Events are free and the afternoon is always an enjoyable opportunity to catch up with others devoted to seeing the latest and greatest in design. Come see us in suite 506 for a bit of decadence! 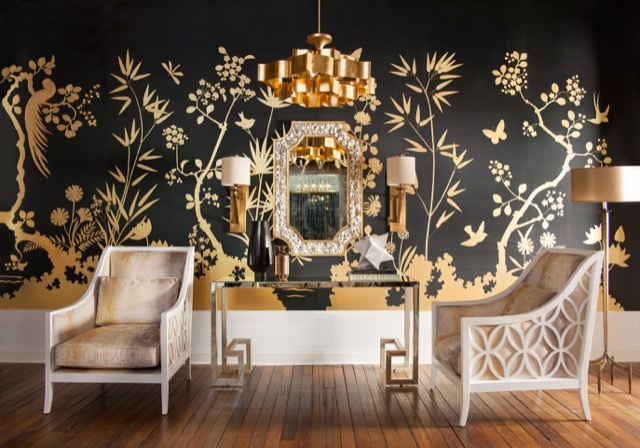 This entry was posted in Currey & Company, Market, Products and tagged cabinets, Chandeliers, console tables, design influencers, Furniture, Gold, Lighting, mirrors, organic shapes, seating, tabletop, Wall Sconce on September 19, 2016 by Currey & Company.